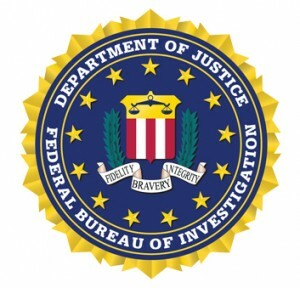 Last month, the Federal Bureau of Investigation published the findings of a study of Active Shooter Events (ASE’s) that occurred from 2000 to 2012. One thing is clear from the data, and you can probably guess what it is. Active shootings, injuries, and deaths have all increased during in years examined. The FBI studied a total of 110 active shooter events during this period. Complete data was not available for every instance, but there was enough information for an examination of the trends in several areas of concern. While you might think most of the incidents occurred on school campuses, 40% of ASE’s occurred in businesses, while 29% were in schools and 19% outdoors. This would indicate that the majority of the ASE’s take place indoors. Sound building clearing tactics, especially of the hostage-rescue type, are important for first responding officers. Forty-seven of the 51 ASE’s with response time data showed that police officers arrived in under seven minutes. The median police response time for 51 of the incidents was just three minutes. That is quick to get boots on the ground. It also makes the next set of stats sobering. For arrival data, a total of 104 ASE’s were studied. In 51% of the 104 cases, the ASE was still in progress as police arrived. In 60% of these cases, police officers used deadly force to end the event. A solo patrol officer was the first to come on scene at the critical incident in 18 ASE’s. Of these 18, 13 ASE’s (72%) were still in progress. While en route to an active shooter call, consider that your odds are over 50% that there will still be killing where you are going. And in most cases, you will have to make a deadly force decision to stop it. Are you prepared mentally, tactically, and technically to deal with the situation when you throw the cruiser into park? The most powerful weapon brought to the scene by the suspect in 59% of cases was a handgun. Rifles followed at 26% and shotguns at 8%. Thirty-three percent of the suspects brought multiple weapons. Five percent wore body armor and another 3% had IED’s available. I was always taught to assume the worst–the bad guy you may be facing has all of these. I urge you view this link to the report: FBI Active Shooter Study. This will obviously give you a closer look at the methodology and stats. I agree with the recommendations of the study that all officers should have training with and access to patrol rifles, plate carriers, and medical equipment (to include tourniquets). I would add that a prepared mindset is also key to handling an ASE. Any of us could be called upon to save lives at an Active Shooter Event. Officers who are ready and able will prevail. Stay safe. This entry was posted in Officer Safety, Street, SWAT. Bookmark the permalink. Great stuff Randall! I wholeheartedly agree with the BIG-3 you mentioned. Officers should have access to a patrol rifle, plate carrier, and trauma kit (with tourniquet). A shotgun is an awesome weapon, but in a crowded area with innocents running all over to get away, the ole scatter gun quickly meets its limitations. I agree, Aaron. It’s surgery, not concrete work. I still carry an 870 in the car, but today’s ASE’s need a more precise response.